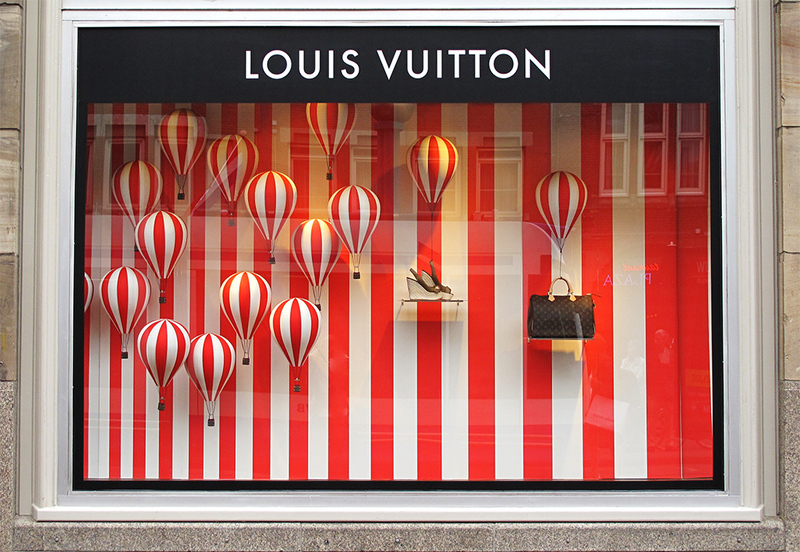 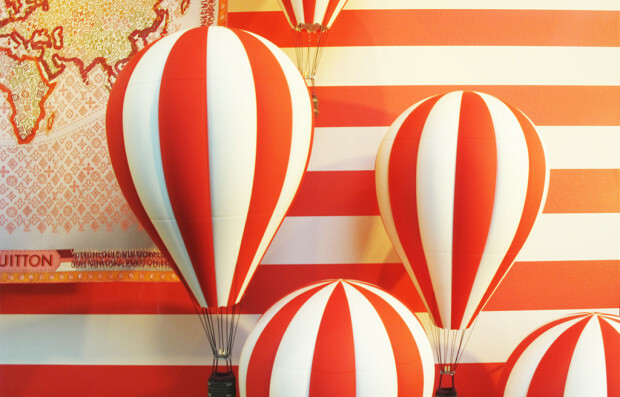 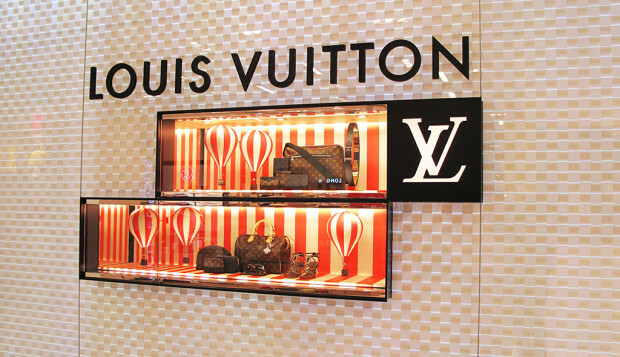 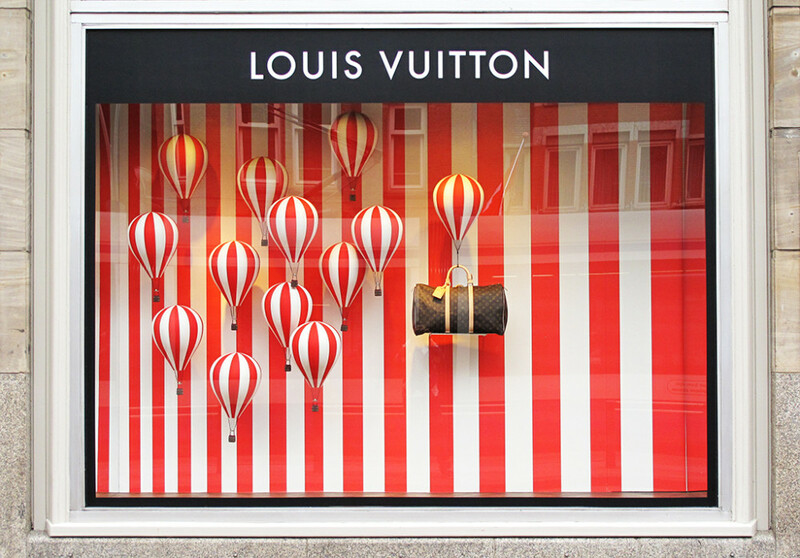 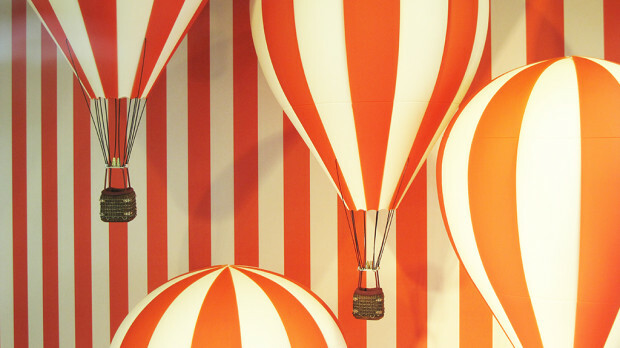 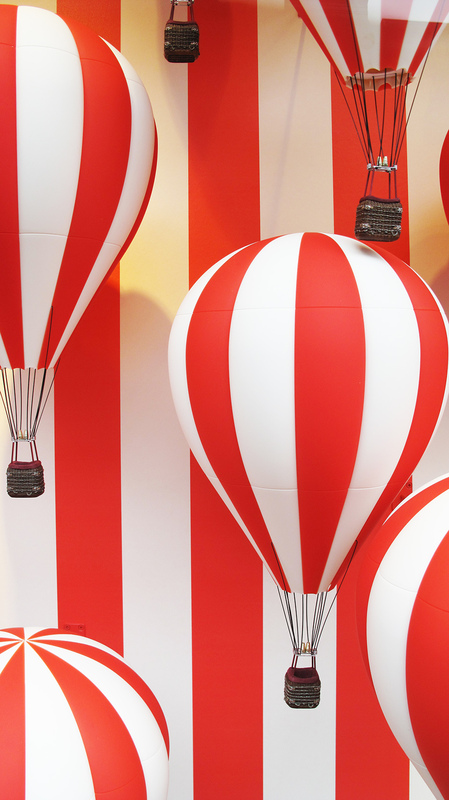 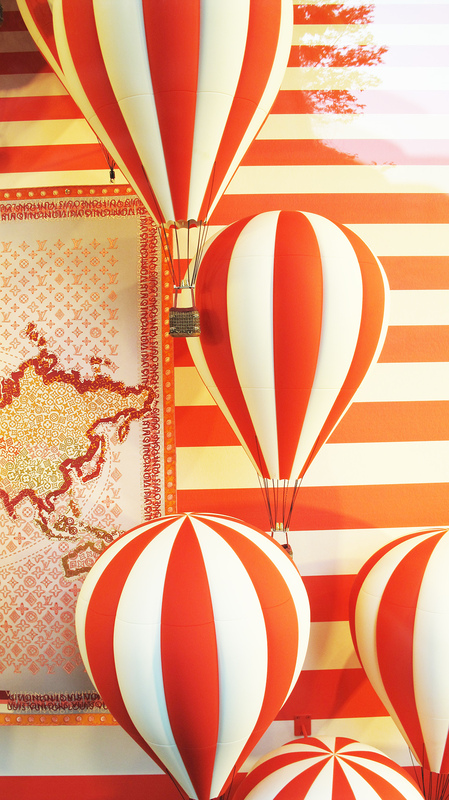 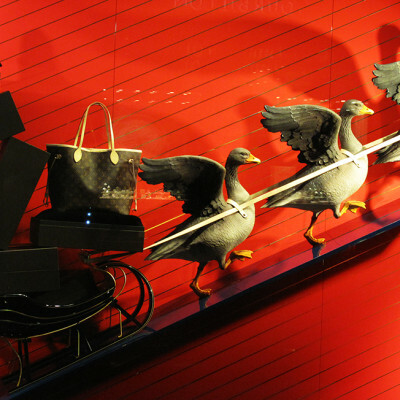 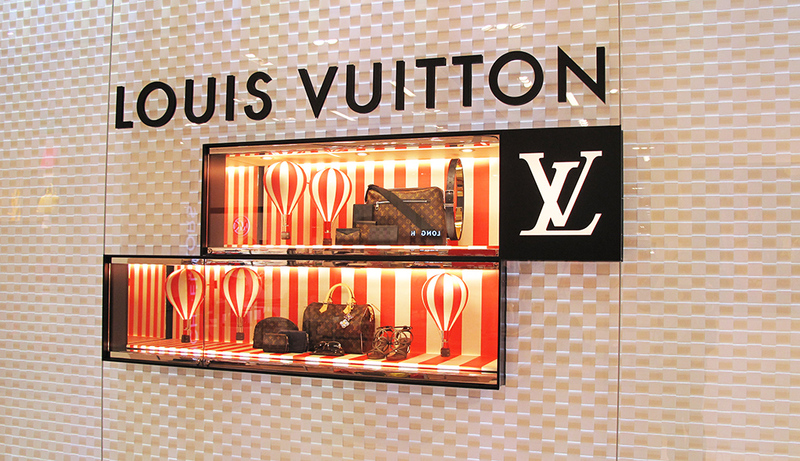 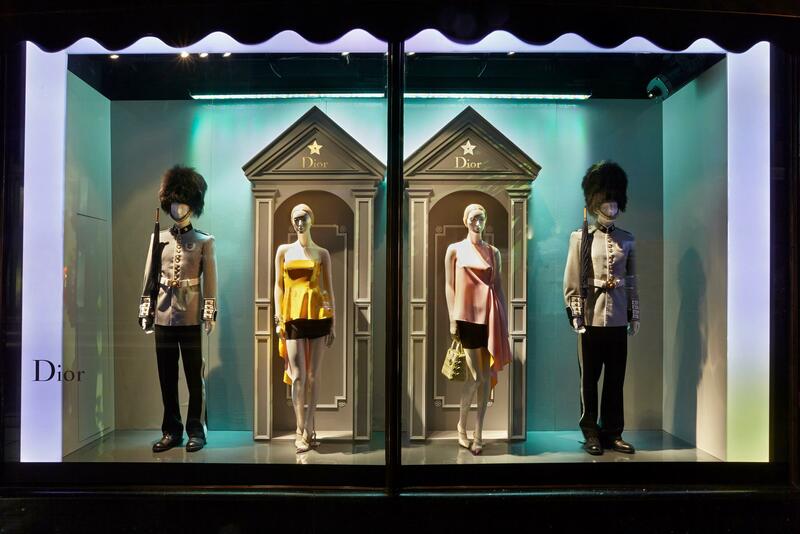 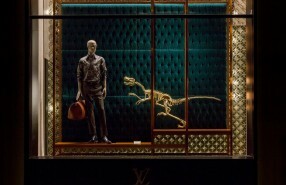 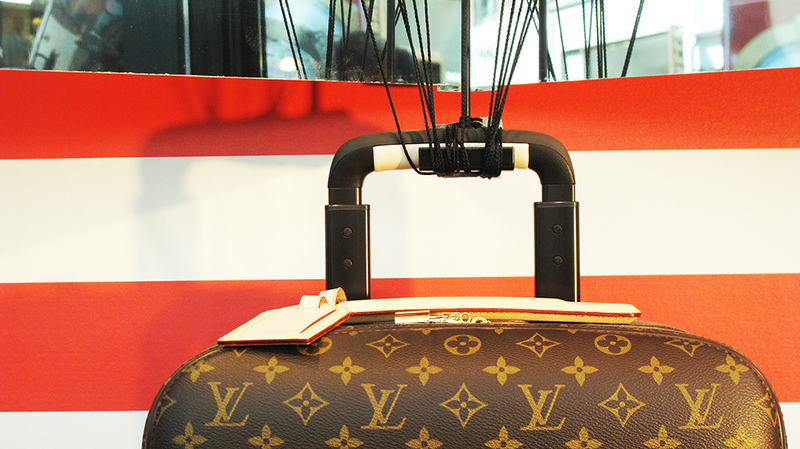 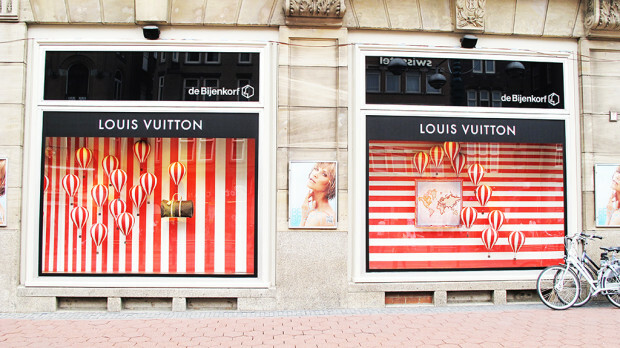 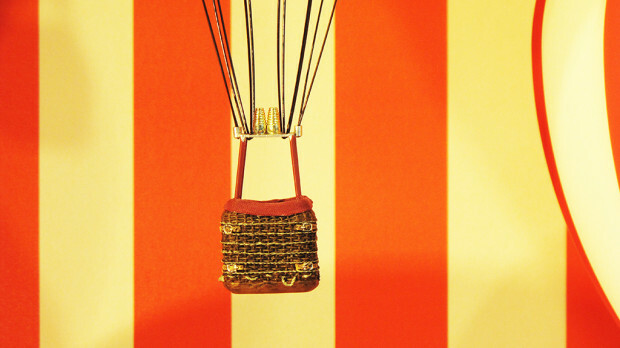 Louis Vuitton ‘Red & White Hot Air Balloons’ window display is related to the film ‘L’invitation au Voyage’. 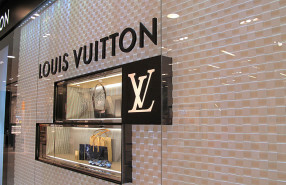 The short film starting in Paris museum the Louvre invites you on a mysterious journey with the Louis Vuitton woman played by fashion model Arizona Muse. 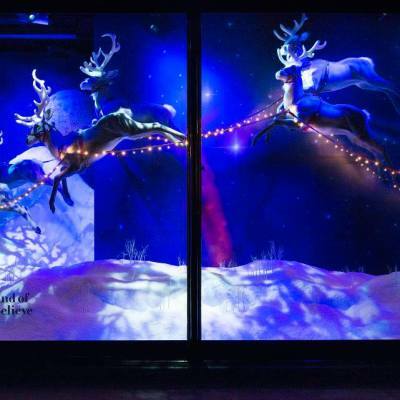 It’s not the first time Louis Vuitton uses hot air balloons for their window displays, back in 2011 they used round balloons with a net. 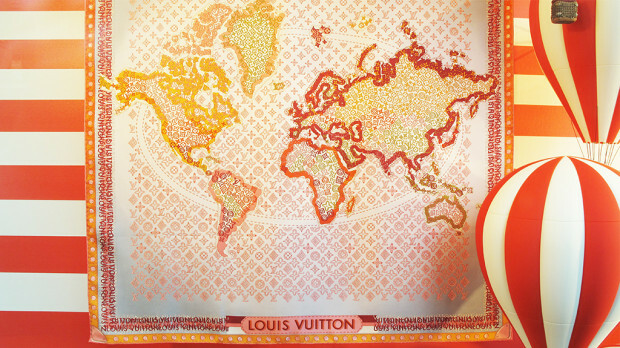 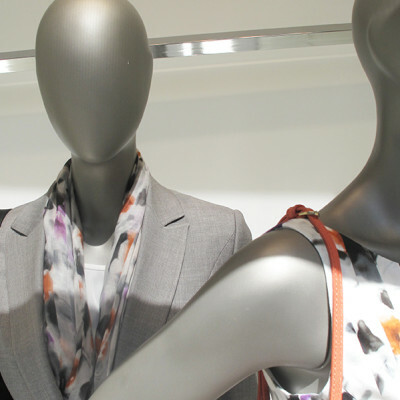 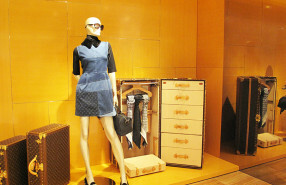 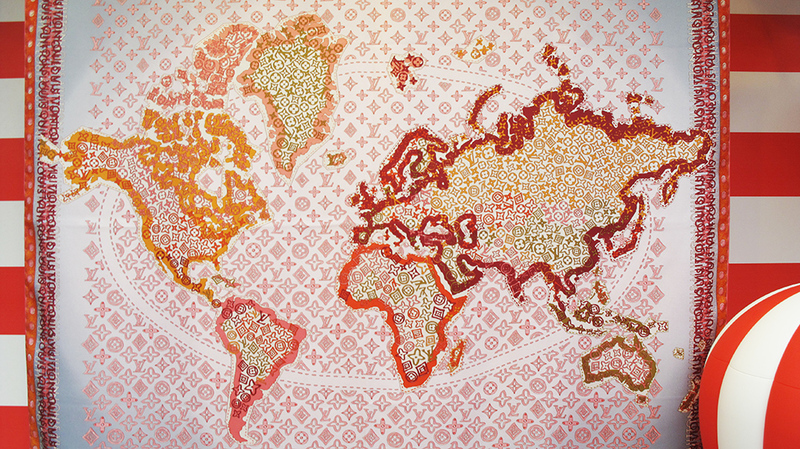 The monogram map square scarf of Louis Vuitton. 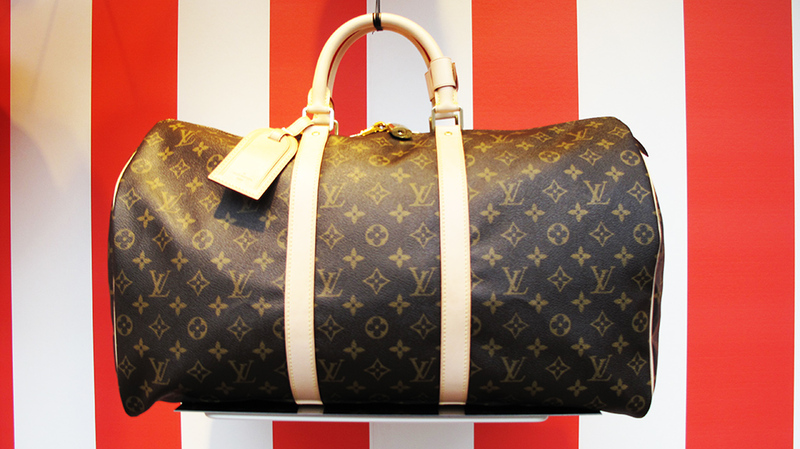 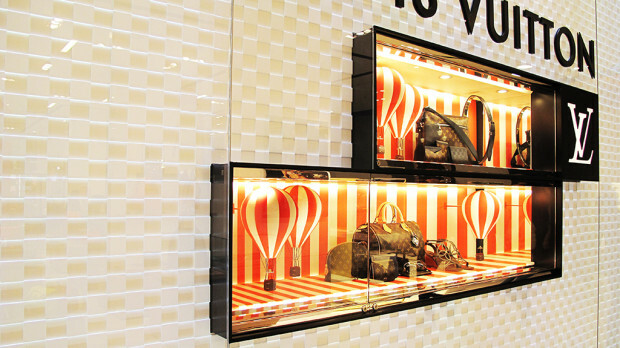 The Speedy Bandoulière 30 handbag of Louis Vuitton. 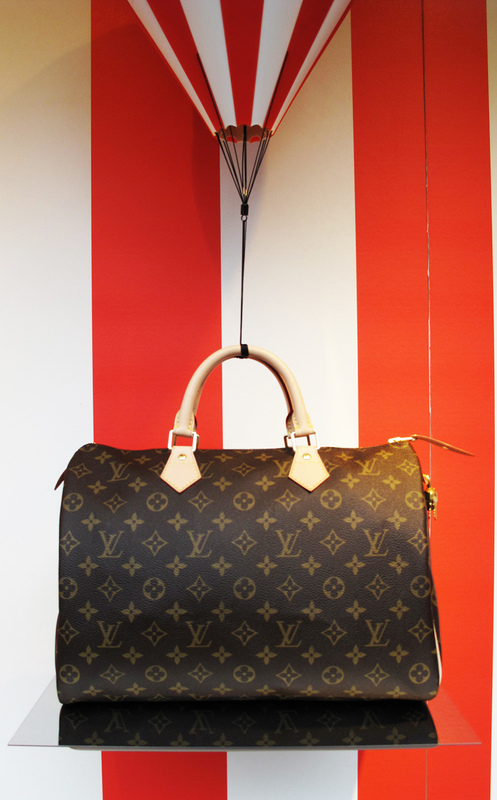 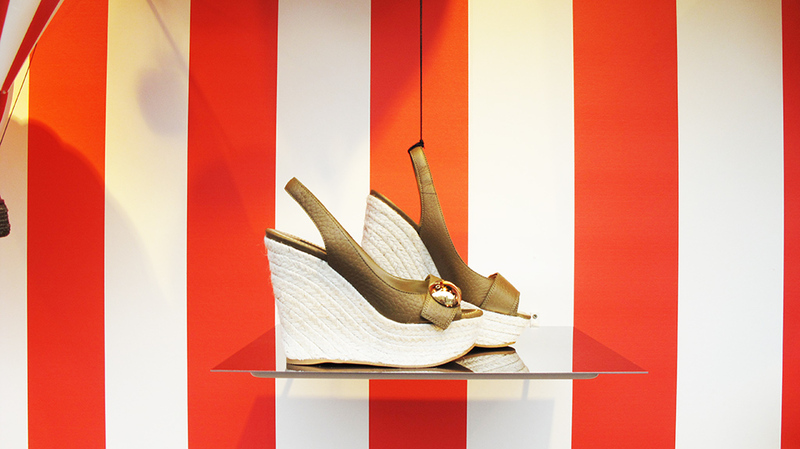 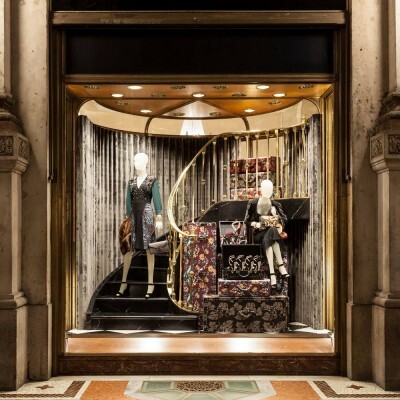 The santal sandel in grained calp of Louis Vuitton.